John Wiley & Sons, announced today that it has acquired Inscape Holdings Inc., a leading provider of DiSC®-based assessments and training products that develop critical interpersonal business skills. Wiley paid $85 million to purchase all of the stock of Inscape, the majority of which are held by investment funds controlled by New York City-based Sentinel Capital Partners. The acquisition will enable Wiley to capitalize on both companies’ content, assets, and relationships, enhance its global reach, and move more aggressively into digital delivery to the growing workplace learning and assessment market. “This acquisition offers a rare opportunity to bring together two respected, market-leading brands — Pfeiffer, Wiley’s global workplace learning brand, and Inscape — to create a powerful force in the growing workplace learning industry. It will combine Wiley’s extensive reservoir of valuable content and global reach with Inscape’s technology, distribution network, and talent expertise, including the innovative EPIC online assessment-delivery platform and an elite network of nearly 1,700 independent consultants, trainers, and coaches that make up their global authorized distributors network,” said Mark Allin, Wiley’s senior vice president, Professional/Trade. 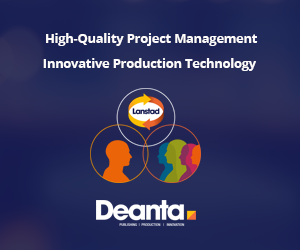 “Inscape’s solutions-focused DiSC® offerings are a perfect complement to Wiley’s highly respected products published under its Pfeiffer brand, such as Kouzes and Posner’s Leadership Practices Inventory®. Together we will serve a broad swath of talent professionals who in turn support managers, leaders, and teams in, corporations, government agencies, and organizations of all sizes around the world,” said Jeffrey Sugerman, Inscape’s chief executive officer, who is joining Wiley along with Inscape’s more than 50 colleagues, as a result of the acquisition. As Inscape’s central product, the DiSC® offerings are available in both digital and print versions. More than one million people use DiSC® assessments in 30 languages each year. The majority of customers choose DiSC delivered through Inscape’s EPIC platform, which is optimized for efficient and customized product/feature creation and includes a proprietary process enabling rapid translations. Inscape’s DiSC assessment offers enhanced value with its online assessment-delivery system, its high-quality customer experience, its superior discoverability and market-leading position, and its ability to customize, personalize, and adapt the DiSC® model so that customers continue to choose Inscape’s version over others. Wiley’s global workplace learning brand, Pfeiffer, has a 40-year history of serving the professional development and hands-on resource needs of learning professionals. Pfeiffer’s best-selling authors include James M. Kouzes, Barry Z. Posner, Patrick Lencioni, Edgar Schein, Peter Block, Ruth Clark, and Elaine Biech. Pfeiffer’s world-class publishing partners include the Great Place to Work® Institute, the Center for Creative Leadership, The American Society for Training & Development, the Society for Industrial & Organizational Psychology, and the International Society for Performance Improvement. Inscape Publishing, Inc. is a leading developer of DiSC®-based corporate training and assessment solutions. Inscape recently launched Everything DiSC®, its third-generation applications that combine online assessment, classroom facilitation, and post-training follow-up reports to create powerful, personalized workplace development experiences. With a global network of nearly 1,700 independent distributors, Inscape’s solution-focused products are used in thousands of organizations, including major government agencies and Fortune 500 companies. Every year, more than a million people worldwide participate in programs that use an Inscape assessment. Inscape products have been translated into 30 different languages and are used in 70 countries. 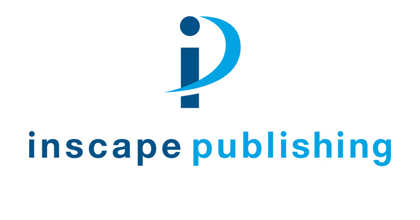 For more information about Inscape Publishing and Everything DiSC products, visit www.everythingdisc.com.